The Moringa Tree (Moringa oleifera) is a tropical to subtropical tree that is one of the latest superfoods soaring in popularity right now. While moringa is relatively new to the western world, this medicinal and edible tree has been used for thousands of years in India. It now grows all over the world, including India, Pakistan, Africa, the Philippines, the Caribbean, Central and South America and in several states in the US, including California and Florida. It is one of the most commonly cultivated food plants in the world. 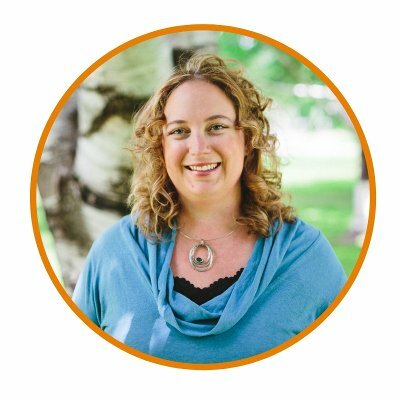 Earlier this year I went to Ireland with a fabulous group of women. One of these women, Nancy, gave us all a little package of an herb that she had gathered from her Florida home, dried, and powdered. Moringa! It was a very thoughtful gift and I loved that it had come from her garden to my home. Nancy shared with us some of the edible and medicinal properties of moringa. What really impressed me was how nutrient-dense the leaves are. You can read more about the benefits and history of moringa on the Mountain Rose Herbs website. Once I was home, I was excited to use moringa. But I wasn’t sure how. One morning my husband was making crêpes for breakfast and I thought, hmmm…. After a few tries we got the recipe just right. 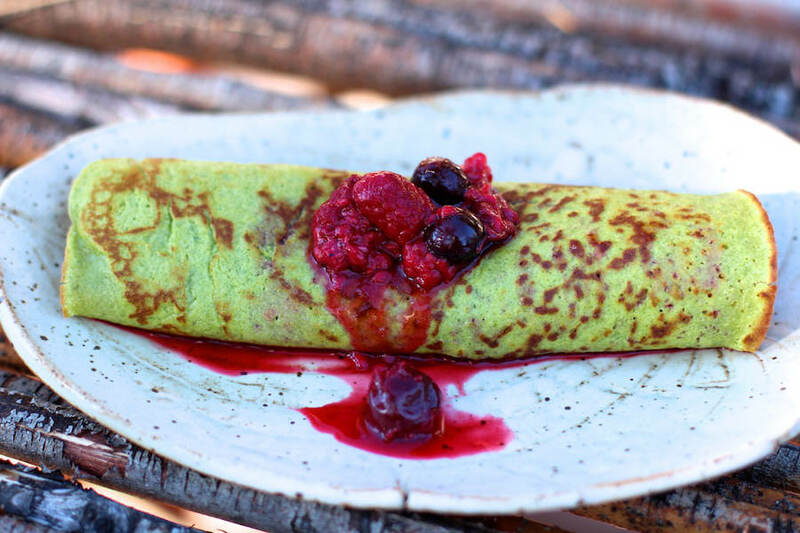 Moringa crêpes! These are delicious and beautiful! 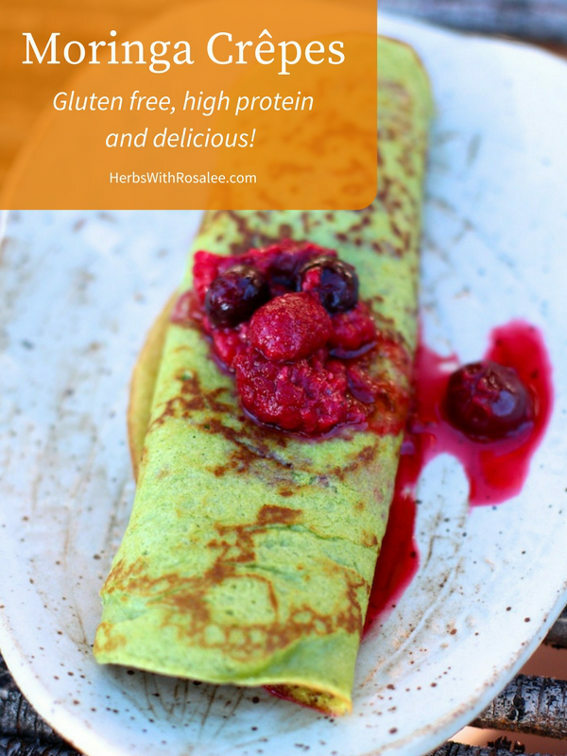 These delicious crêpes are gluten free and high in protein. We love them stuffed with warmed berries (strawberries, blueberries, raspberries). Mix the flours and the powdered herbs together in a medium bowl. In another bowl mix the eggs, vanilla extract, coconut milk, and honey. Pour the egg mixture into the dry ingredients and mix thoroughly with a whisk. Let sit for 10 minutes. The mixture should then be fairly thin, like a thin syrup (quite a bit thinner than pancake batter). Heat an 8-inch non-stick skillet on medium until very hot. Pour a 1/4 cup of the crêpe batter into the skillet, swirling the skillet so that it's thinly coated evenly. Cook until small bubbles pop through over most of the crêpe and the edges are just starting to brown. Loosen the edge of the crêpe with a spatula and flip the crêpe, cooking the other side for less than a minute until it's just starting to turn brown. The first crêpe is often difficult to flip whole but it gets easier with the next ones. Serve with warmed fruit or your favorite jam or fruit butter. 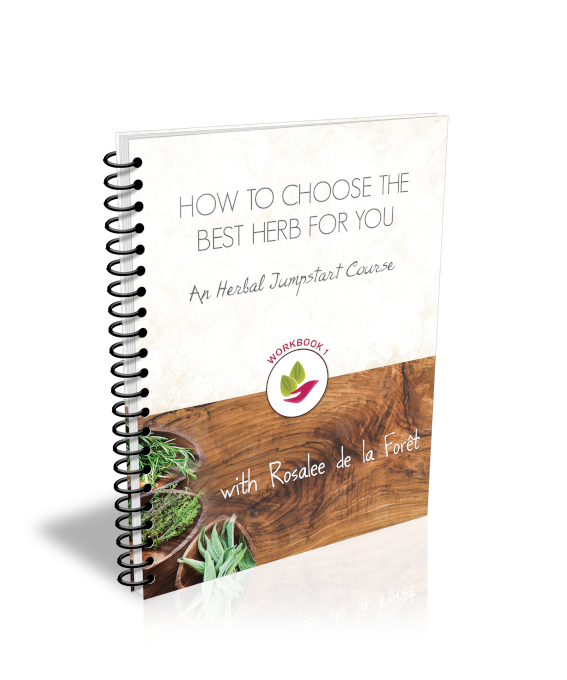 Download your Moringa Crêpe Recipe Card here!